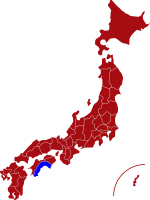 Kochi is the birthplace of the legendary Japanese revolutionary Sakamoto Ryoma, one of the most famous and influential people in modern Japanese history. Sakamoto was an imperial loyalist and prominent figure in the movement that led to the overthrow of the Tokugawa shogunate during the final years of the Edo period (1603-1868). 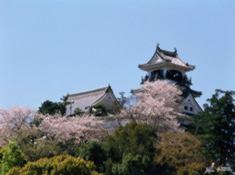 Kochi has its own castle which is one of the oldest castles in Japan still in existence. The original castle dates back to 1603, but was re-built in 1753 after a fire damaged most of the original building. The main tower and its surrounding structures are registered as Important Cultural Assets. The unusual design and layout of the site gives the visitor a panoramic view of the main tower and elegant entrance gate which is even more spectacular when illuminated at night. 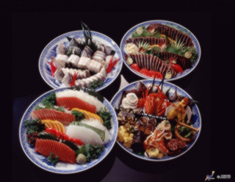 The main festival in Kochi is the Yosakoi Matsuri which takes place over four days in August and attracts around one million visitors from all over Japan. The festival has around 20,000 dancers in different teams displaying their colourful original costumes and exquisite dancing skills. Visitors are welcome to join the “Niwaka-ren” troupe for beginners. There is a small charge involved which includes a “happi” (traditional short jacket) and “naruko”, the castanet-type clappers that all dancers in the Yosakoi Festival carry during the performances. 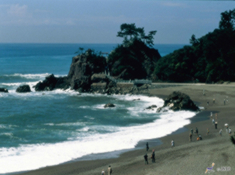 For more information about Kochi prefecture, see their official tourism website. Air - Kochi Ryoma Airport offers daily flights to Tokyo, Osaka, Nagoya and Fukuoka. The flight time from Tokyo is around 1 hour and 20 minutes. Click here for its English website. Rail - The journey time from Osaka via Okayama using the Shinkansen and JR Express train is 3 hours and 15 minutes. 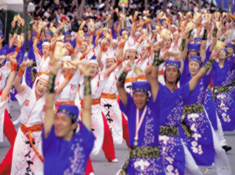 Yosakoi Matsuri is Kochi’s major dance festival held annually over four days from the 9th to the 12th of August. The festival is hugely popular and attracts thousands of participants from all over Japan. Sahachi food is one of the most popular dishes in Kochi and can be sampled at many of the local restaurants in the area. Kochi Castle is Japan’s only castle where all the structures of the main building have been carefully preserved in the original condition. Coastline - Kochi is blessed with many beautiful beaches along the coastline.